“Frenchie” arrived at the farm with a fractured sesamoid, which has long since healed well. 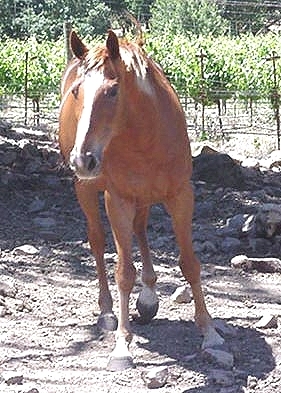 His flaxen mane and tail make him a striking individual. He and his paddock-mates do a lot of playing around.